. . . mind an aching void, and my heart a cold boiled potato. I can think of nothing more disagreeable! For not a word more would Fenton let drop as to the great man's business with us or the Mountain of the Golden Pyramid. An adventure story that will captivate anyone interested in traveling and especially those who see themselves as tourism professionals. 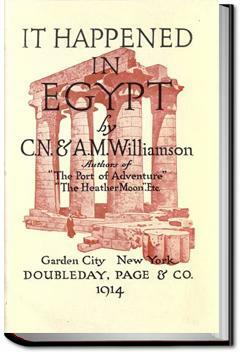 This is a wonderfully-wrought mystery published in 1914 that has the excitment of exotic locales, the intrigue of interesting characters, and the colorful, descriptive writing style of days gone by. This was my entrance piece to the world of A.M and C.N.Williamson. And I heartly thank my mum for suggesting I pick it up. It' place lays closer to the best than to the worst.